The Government of Canada is modernizing Canada's intellectual property (IP) regime by joining five international IP treaties, specifically with regard to industrial designs, trademarks and patents. The goal is to reduce the administrative burden and provide harmonized procedures for Canadian businesses. Positioning ourselves as a global innovation centre is key to advancing our Innovation and Skills Plan. The Canadian Intellectual Property Office (CIPO) is also modernizing the IP legal framework and office practices. These are aligned with Canada's efforts to develop and implement our Intellectual Property Strategy to help ensure that Canada's IP regime is modern and robust and that it supports Canadian innovation in the 21st century. Joining the treaties is a complex initiative with many components, including legislative, regulatory and information technology requirements. We are consulting broadly with stakeholders and interested parties to get their input throughout the process. We expect to fully implement the treaties by the end of 2019. On November 5, 2018, Canada acceded to the Hague Agreement Concerning the International Registration of Industrial Designs (the Hague System) and implemented changes to significantly modernize Canada's industrial design regime. The Hague System provides a mechanism for acquiring, maintaining and managing design rights in members countries and intergovernmental organizations through a single international application filed with the International Bureau of the World Intellectual Property Organization (WIPO). There are 69 countries and regional associations in the Hague System, including most of Canada's major trading partners, such as the United States, the European Union, South Korea and Japan. To facilitate Canada's accession to the Geneva Act of the Hague Agreement and to modernize the industrial design regime, a number of amendments were made to the Industrial Design Act and Industrial Design Regulations, which came into force on November 5, 2018. CIPO has also revamped its Industrial Design Office Practice Manual, which sets out how it operationalizes the above-noted legislative and regulatory changes. The Copyright and Industrial Design Branch has actively engaged with key stakeholders (e.g. IP agents who are regular users of the Canadian industrial design system) about the changes necessary to join the Hague System throughout the regulatory development process. CIPO plans to keep engaging with stakeholders on an ongoing basis, up to the coming-into-force date. 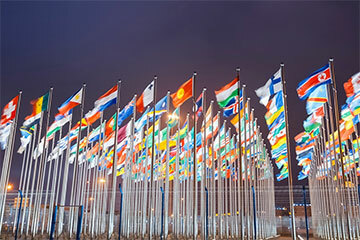 The Madrid Protocol is an international registration system (the “Madrid System”) that offers the possibility of obtaining protection for trademarks in a number of countries through a single international application filed with the International Bureau of the World Intellectual Property Organization (WIPO). The Singapore Treaty is a trademark law treaty that aims to make national trademark registration systems more user-friendly and to reduce business compliance costs for trademark owners. The Nice Agreement governs an international system used to categorize goods and services for the purpose of registering trademarks. The Nice Classification system creates specific categories for goods and services that are harmonized across all member countries, making it easier to search for and compare different trademarks. The Trade-marks Act was amended in 2014. A review of the fee changes was conducted under the User Fees Act in 2016 as part of modernizing Canada's trademark regime. The new Trademarks Regulations were published in November 2018 and will come into force on June 17, 2019 and will enable Canada to accede to the Madrid Protocol, Singapore Treaty and the Nice Agreement. The Trademarks Branch has actively engaged with stakeholders (including a range of associations, IP agents and major trademark filers in Canada) about the changes necessary to join the Madrid Protocol, the Singapore Treaty and the Nice Agreement. CIPO plans to keep engaging with stakeholders on an ongoing basis. The Patent Law Treaty aims to harmonize and streamline patent administrative procedures among national IP offices. It addresses issues such as the provision of notification to avoid loss of rights, representation before the IP office and red-tape reduction. The Patent Act was amended in 2014 and in 2015. A review of fee changes was conducted under the User Fees Act in 2016. A public consultation on proposed changes to the Patent Rules was held in 2017. We are now in the process of amending the Patent Rules, which will guide us on how the Act will be applied, as well as making the necessary changes to our administrative systems and procedures. We expect to be able to accede to the Patent Law Treaty in fall 2019. Members of the public (Canadian and foreign). Sign up for training, webinars and demos to learn more about the changes brought forward by Canada's accession to the IP treaties as they pertain to industrial designs, trademarks and patents. If you would like to keep up to date on this initiative, subscribe to our newsletter and follow us on social media.